To connect your Recurly account, we need some additional information. Please follow the steps below. This is the information which needs to be copied. Required. Your Recurly subdomain. This can be found in the URL for your Recurly account as shown above. Required. A private key for your account. 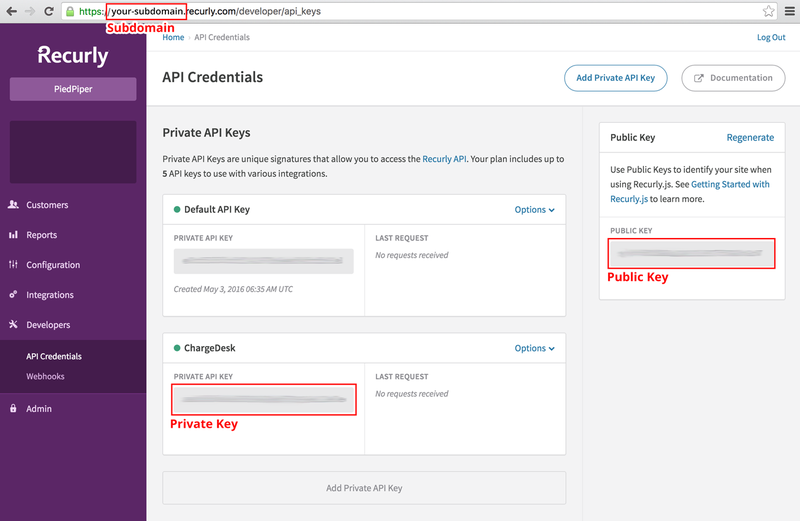 We recommend generating a private key specifically for ChargeDesk as described above. Optional. 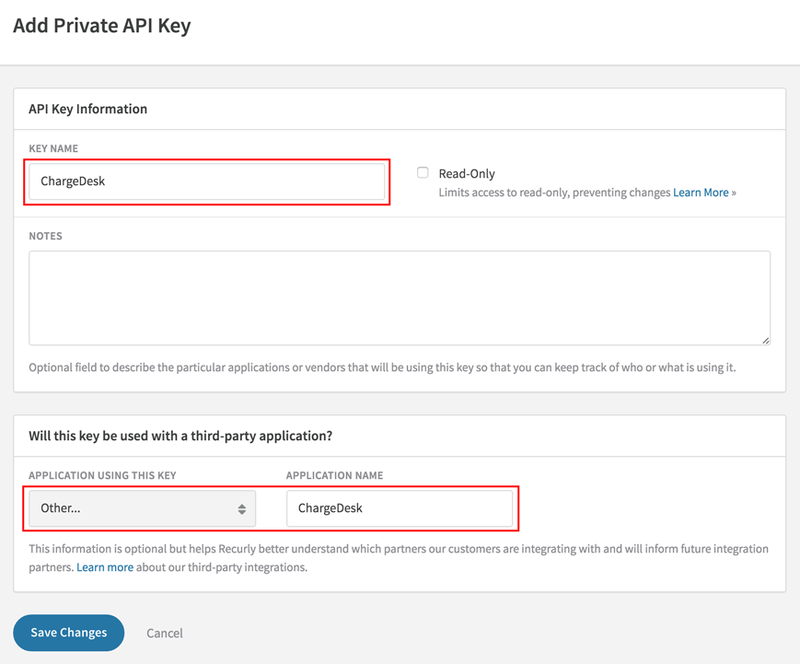 However, if not provided, you will not be able to accept new payments with ChargeDesk.